Expect plenty of company if you're planning to leave town this Thanksgiving. According to a report released by auto travel group AAA on Thursday, more than 46 million Americans will travel farther than 50 miles from home for next week's Thanksgiving holiday. The figure is noteworthy as it marks the highest volume for Turkey Day in seven years and signals a 4.2 percent increase from 2013, when 44.4 million Americans transported for the November holiday. 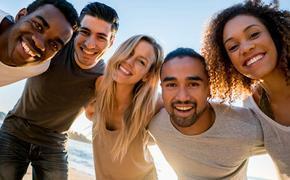 "This year, more Americans will give thanks for the opportunity to travel to friends and family than any year since 2007...Americans are more optimistic about the future as improvements in several key economic factors, including employment, GDP and disposable income, are boosting consumer confidence and the desire to travel," said AAA President and COO Marshall L. Doney. 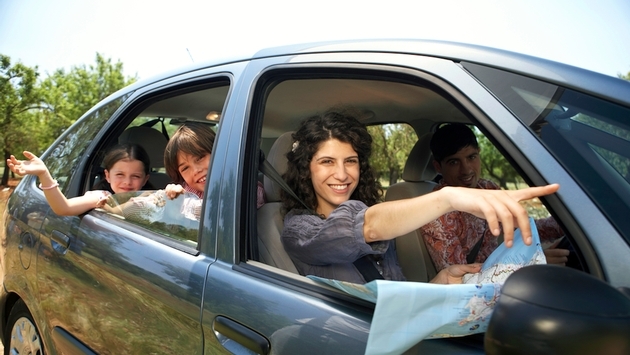 AAA's data gets even more specific, however, revealing that nearly 90 percent of those American travelers will depart on a road trip this fall. Fueling that figure are declining gas prices across the country. According to AAA, the national average for a gallon of regular gas is down to $2.85, 43 cents lower than the average this time last year. The 41.3 million set to embark via automobile represents a 4.3 percent increase over last year, per AAA. Don't expect fewer crowds and chaos at the airport, though. AAA's Thanksgiving forecast calls for more than 3.5 million Americans to fly for Turkey Day. That figure also marks the highest since 2007. But while gas prices are down this fall, American travelers can expect to pay more in other areas, with airfare, mid-range hotels and rental car prices all up from 2013, according to AAA. As someone who travels more than 50 miles from home to be with family, watch football and nab a free dinner every Thanksgiving, it isn't surprising that so many Americans would be willing to battle the cold and crowds in order to give thanks together. Still, at the same time, 2014's increase serves as plenty justification for those who opt to put their travel plans on hold this time of year and stay local.